HomeTata Steel Chess Tournament 2018Get Ready For Tata Steel Chess 2018! 80th edition of the 'Wimbledon' of chess opens this weekend! 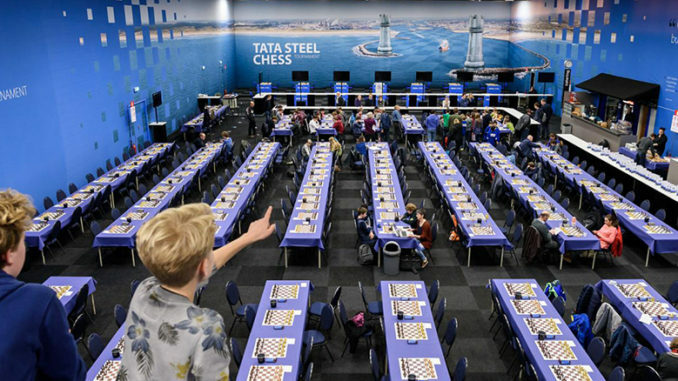 This coming Friday (January 12th) will see the start of the Tata Steel Chess Tournament 2018. The event, to be played over 13-rounds, will run until January 28th. The opening ceremony and drawing of lots, will be held at the headquarters of Tata Steel, in Velsen-Noord, the Netherlands. And on Saturday, attention will move just a stone’s throw down the road, to the coastal village of Wijk aan Zee, which has become cemented as the tournament’s home. Celebrating its 80th edition this year, the tournament has seen various guises, but has come to be proclaimed as the ‘Wimbledon’ of chess. And in the opinion of this chess fan, quite rightly so. There is no atmosphere quite like this tournament in Wijk aan Zee, which has attracted all of the big names of chess, past, present and no doubt future. It is actually more like a festival of chess, bringing enthusiasts from all over to both play and spectate or just simply to experience. There are few venues in the chess calendar quite like it, where one is able to watch the very top players of the chess world in such a close, intimate, setting. This year’s edition will again feature two groups, ‘Masters’ and ‘Challengers’. The Masters Group sees World Champion and World #1, Magnus Carlsen, topping the seeding. The Norwegian Grandmaster is making his 14th appearance at the tournament, having debuted in 2004, aged 13. That was back in the days when the tournament had three groups, A, B, and C. Carlsen’s nearest rival, (on paper anyway), is Fabiano Caruana of the United States. Caruana will want to keep up the momentum of winning the London Chess Classic in the final weeks of last year. However, if either of these two players think that they will have things easy, then they will have another think coming. The Masters Group sees no player who will just be looking to make up the numbers. Least of all will be Gawain Jones, who won last year’s Challengers Group and gets promoted to the Masters. Gawain is bottom seed, but don’t be thinking that this makes him the least dangerous! He is known for his flair and creativity and has absolutely nothing to lose should he decide to push the boat out. Last year’s clear winner, Wesley So, shows up again. Wesley has had a few disappointments since winning the 79th Tata Steel Chess Tournament, where he looked extremely strong and stable. Will Wijk aan Zee see him returning to form? 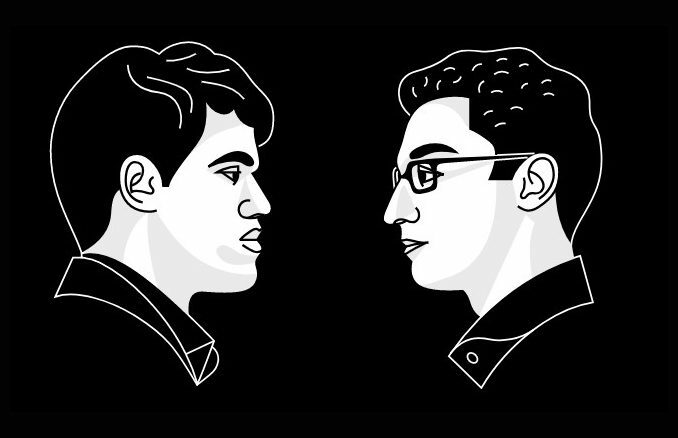 And it doesn’t stop there — Sergey Karjakin, Shakhriyar Mamedyarov, Vladimir Kramnik, and Anish Giri are all to be watched. And let’s not forget Russian Champion, Peter Svidler, who is never to be under-estimated. Likewise for India’s Viswanathan Anand, who is fresh from winning the recent World Rapid Championship and must be feeling confident. Simply put, the organisers of the Tata Steel Chess Tournament have put together a fabulous list of competitors once again — very exciting! Top seed in the Challengers Group, is Grandmaster Vidit Gujrathi of India. 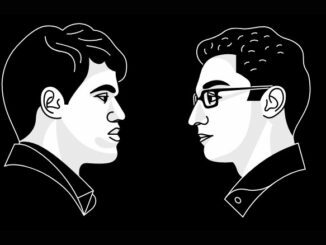 The 23-year-old was Anish Giri’s second for last year’s tournament, but now takes to the boards himself. He is the only 2700+ player in the group, but will know that this assures him of nothing if he wishes to see promotion to the Masters in 2019. This is especially true considering that the group also sees tough campaigners like Amin Bassem, Michal Krasenkow and Anton Korobow. the promising Jefferey Xiong makes his return also, having gained a wealth of experience in this group last year. Friday 12th January: Tournament Opens. Saturday 13th January: Round 1. Sunday 14th January: Round 2. Monday 15th January: Round 3. Tuesday 16th January: Round 4. Wednesday 17th January: Round 5 (Tata Steel Masters in Hilversum). Thursday 18th January: Rest day. Friday 19th January: Round 6. Saturday 20th January: Round 7. Sunday 21st January: Round 8. Monday 22nd January: Rest day. Tuesday 23rd January: Round 9. Wednesday 24th January: Round 10 (Tata Steel Masters in Groningen). Friday 26th January: Round 11. Saturday 27th January: Round 12. Sunday 28th January: Round 13. Tournament closes. Time Control: 100 minutes for 40 moves, then 50 minutes for 20 moves, then 15 minutes for the rest of the game. There will be an increment of 30 seconds per move, starting from move 1.